No doubt plants are the most important element of any garden. However, you should be very careful while planting them in your garden. Too many plants can have a bad influence on our perception of the garden. Moreover, that can completely negate all the efforts to create it. But it doesn’t mean we must plant only one tree and surround it with stones although such a variant is the most suitable for a small area as it would look like a Japanese nook. If you are planning to create a big garden, it’s necessary to think over the alternation of ‘emptiness’ and ‘thickets’. 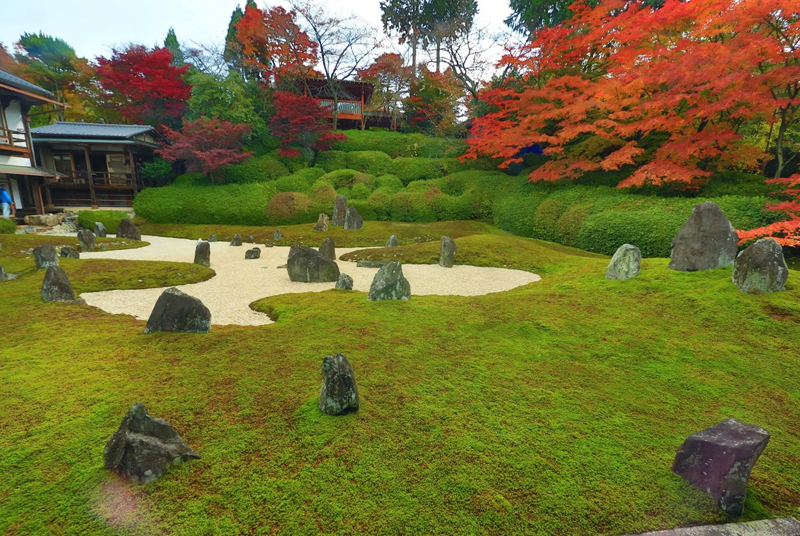 Variegated plants and bright flowers are rare in Japanese gardens. Various hues of the green colour, the combination of shapes and textures, the play of the light and shadows are a lot more important. Besides Japanese gardens must look attractive not only in summer but in other seasons, when different pictures could catch your eye, making the garden look inimitable in its beauty. Think how will your garden look in winter, for example? When there is no leaves on the trees, and we enjoy another things in the garden: coniferous trees and shrubs, arbors and lantern, beautiful graphics of branches covered by frost or snow. Where is better to place the maples to enjoy their bright colour in the autumn? What will attract your attention in your garden at dawn or at night? The choice of the plants for a Japanese garden is wide enough. However, you shouldn’t take a great interest in planting real Japanese trees and shrubs as many of them are not cold-resistant. Even if a plant survives severe winter, its permanent freezing or scorching will be spoiling the garden year after year and as a result, we’ll never see the picture which we have planned to create. Winter resistant plants have one more advantage: you don’t have to cover them as you must always do with the so-called mollycoddles in winter. Some of us live in the country all year round so these ‘white mummies’ don’t make the garden look attractive during the cold periods of the year. Besides, the process of rotting can start because of thorough covering and eventually a fungus can appear on a plant. So, the first group of plants we are going to examine is woody plants. Spring in Japanese gardens is usually associated with a sakura, which is a symbol of purity and prosperity, it’s also one of the symbols of Japan. 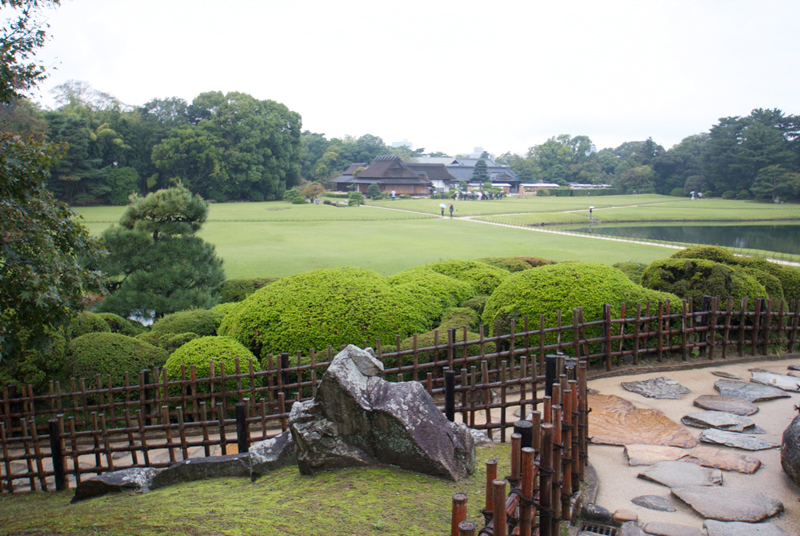 Many Japanese gardens are open in the flowering period of sakura which is quite short. 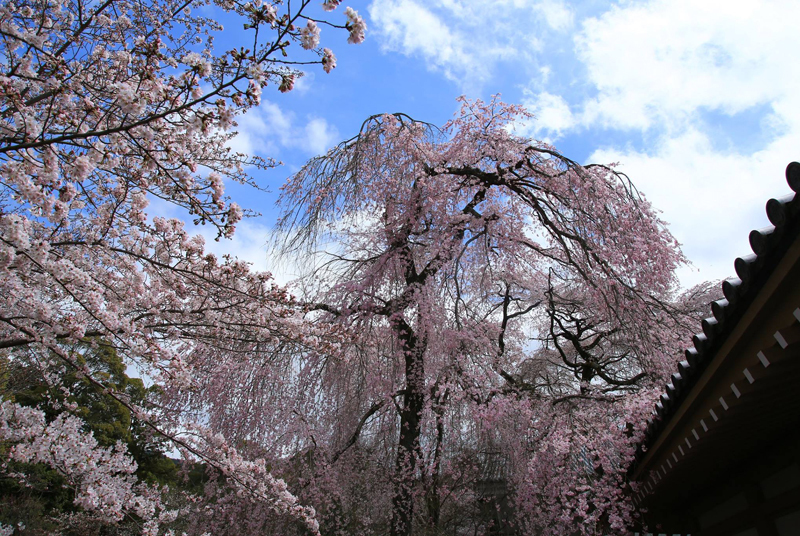 A sakura isn’t just a tree, it’s most likely a collective image including some species of cherry, plum and bird cherry trees. Unfortunately, those which grow in Japan aren’t suitable in our country, but the flowering of some kinds in Russia looks absolutely gorgeous. Thus, a worthy replacement of sakura in our climate can be cherry kurilensis (a rather tall tree), Prunus tomentosa (a small tree or shrub), some varieties of decorative apple trees (eg apple Nedzvetski), Louiseania, Amygdalus ledebouriana or Amygdalus nana. You can also plant a magnolia. Only you need to choose the most suitable for the cold climate variety and with pink flowers. In autumn maples play first fiddle. 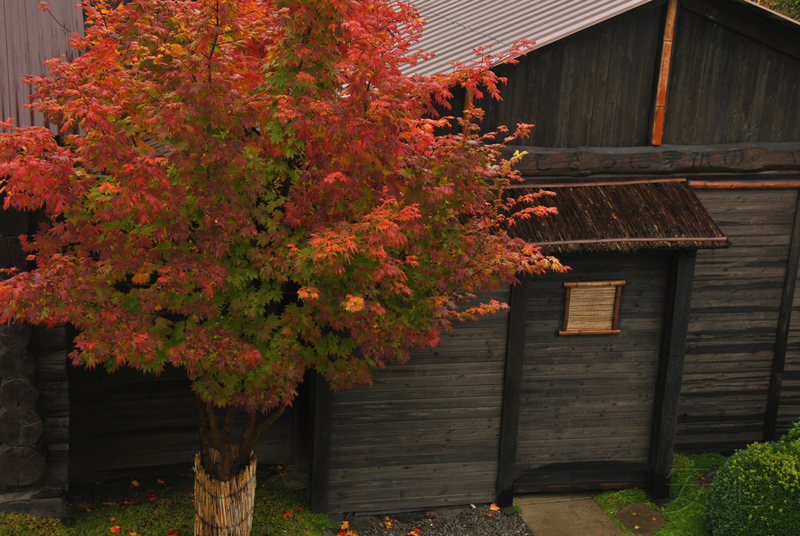 Acer palmatum is undoubtedly beautiful. Some of them are successfully grown in Russian gardens. However, it’s risky. If you do want to grow acer palmatum, make sure you plant it in a proper place, which is warm, protected from winds and near the pond. 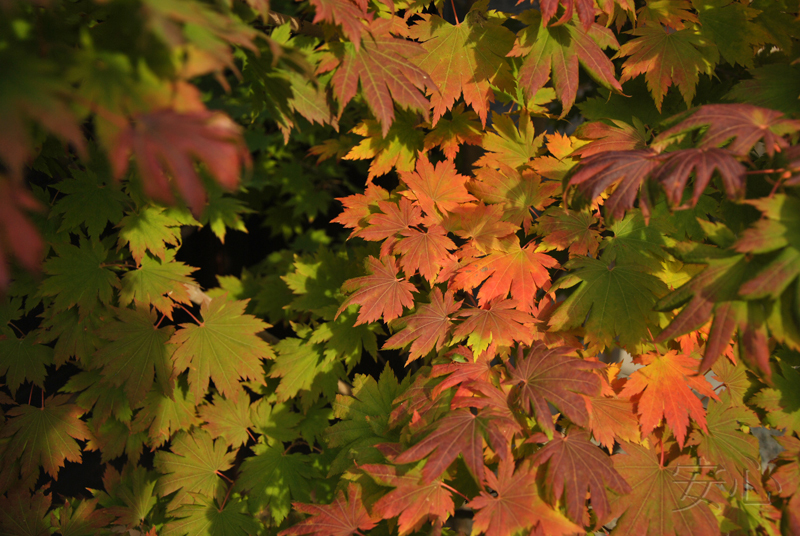 It’s better to cover your acer palmatum for winter especially during the first several years. If you don’t want to run a risk, we can offer some really good equivalents. First, it can beacer pseudosieboldianum, whose leaves look so similar to the leaves of acer palmatum that they can easily be confused. 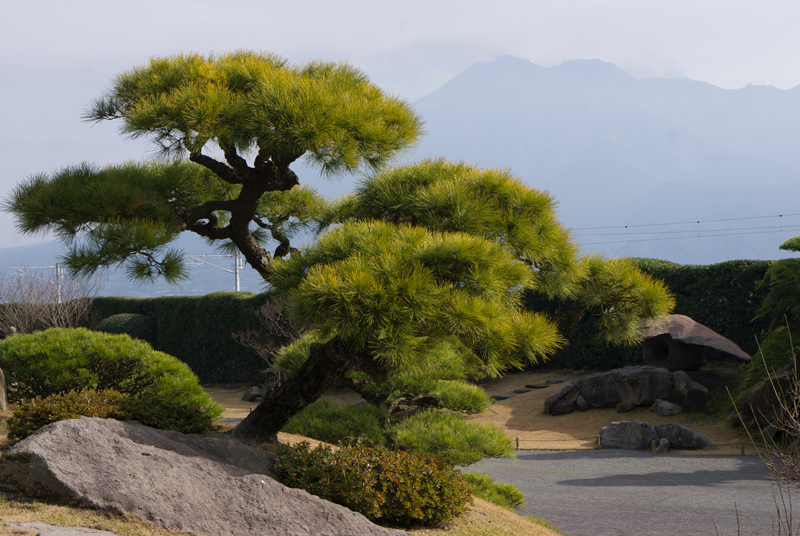 Although the shape of that tree isn’t Japanese, it can be corrected if pruned properly. 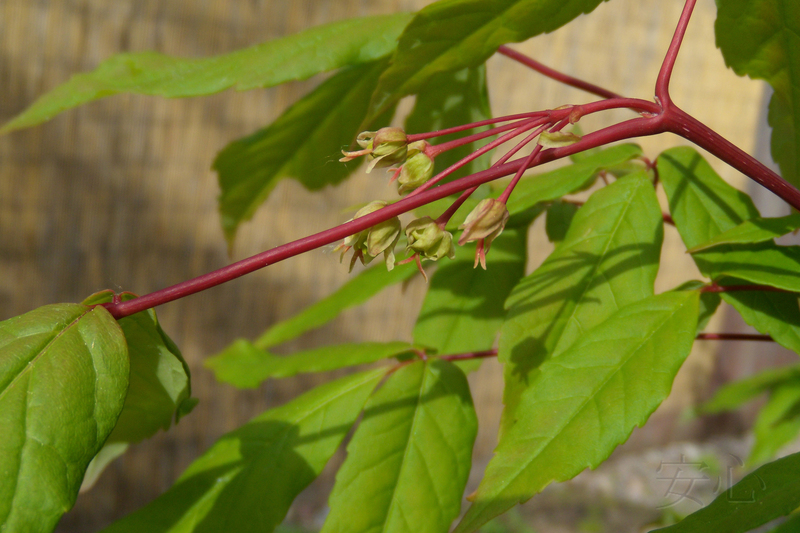 On the other hand, acer mandshuricum has a lovely canopy, but the leaf shape is different from that of acer palmatum. However, this difference isn’t easy to be seen. Finally, a silver maple could be suitable as well in spite of one big disadvantage- it grows into a huge tree. That’s why you can plant this type of maple only if you have enough space. In winter the popularity of conifers, especially pines, increases. Some types of pine and pinus mugo are good for making a garden ‘niwaki’. It can take years though. If you don’t want to wait for long, you can buy a ready-made niwaki in garden centres. They’re quite expensive but worth buying as you’ll get a beautiful part of the garden at once. Besides there can’t be many ‘nivakis’ in your garden, one tree will be enough. 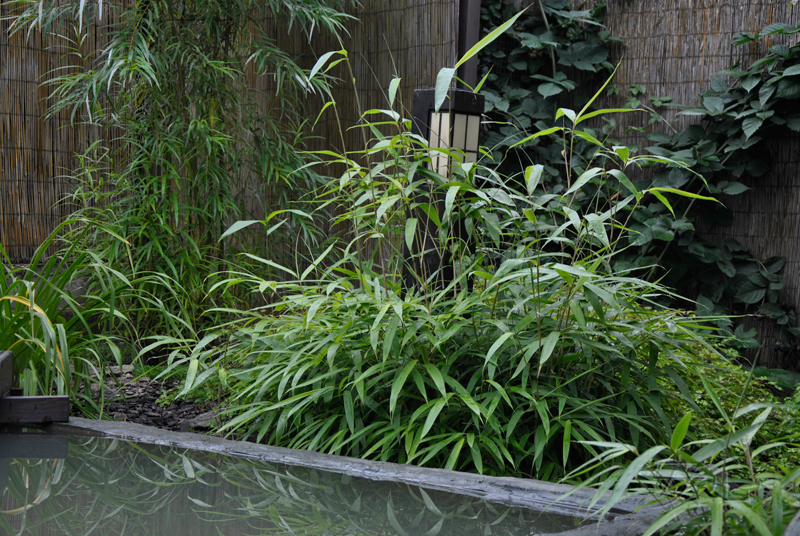 There is another Japanese plant-bamboo. Unfortunately, it doesn’t grow in our climate, excluding some kinds which are really short. One of the examples is a sasa. In winter its part which is above the ground dies and you should wait when they grow up new stems in spring. If you manage to provide good conditions, a sasa can grow up to one and a half meters a season. Another alternative is fargesia. In winter it is necessary to cover it, at least the first few years. 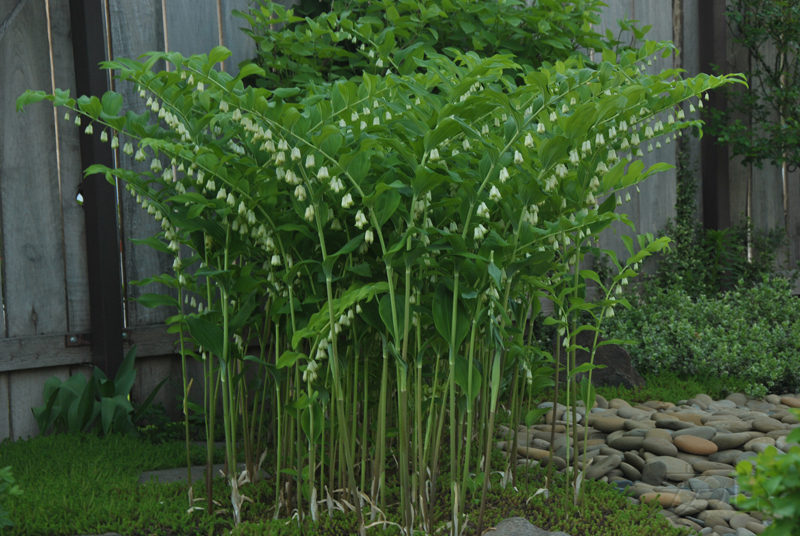 But, if you create the right conditions for fargesia, some types may have to grow up to three meters (Fargesia nitida). And yet the dense thickets of bamboo cannot be achieved. Planting a willow can be a way out in this situation. The leaves of some of its kinds are similar to bamboo leaves, e.g. 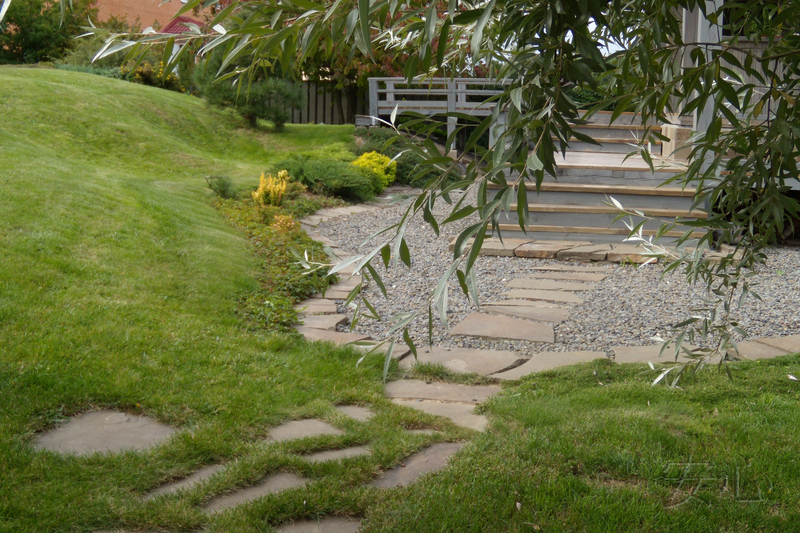 Salix Schwerinii. However, keep in mind that this is a big tree, but only the young branches are similar to bamboo. 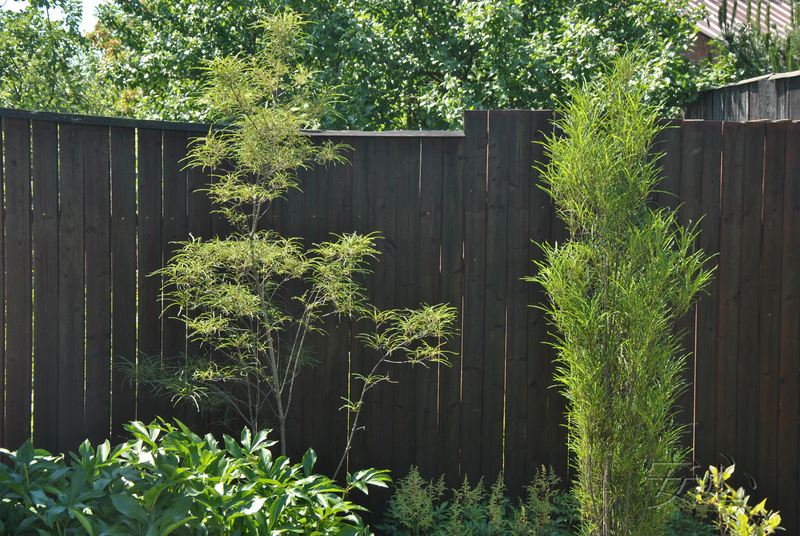 Therefore, if you choose Salix Schwerinii as a substitute for bamboo, you will have to crop it heavily each season. 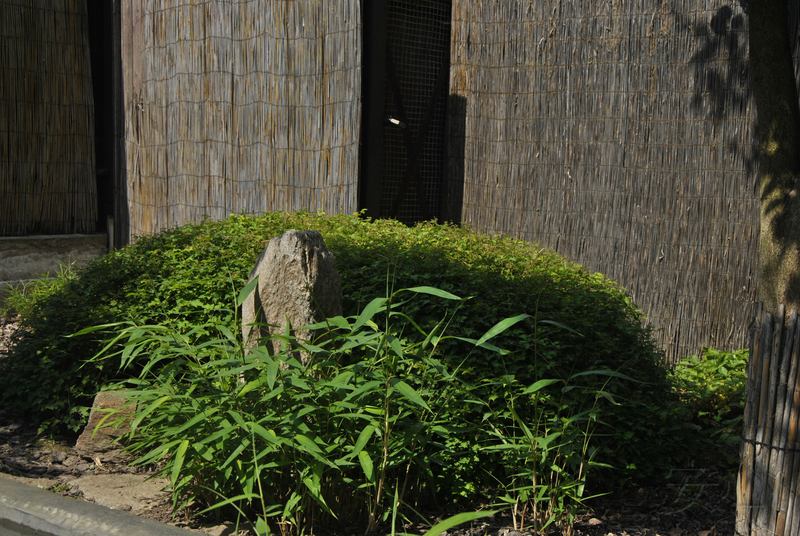 Bamboo stems and Polygonum sachalinense stems are alike. 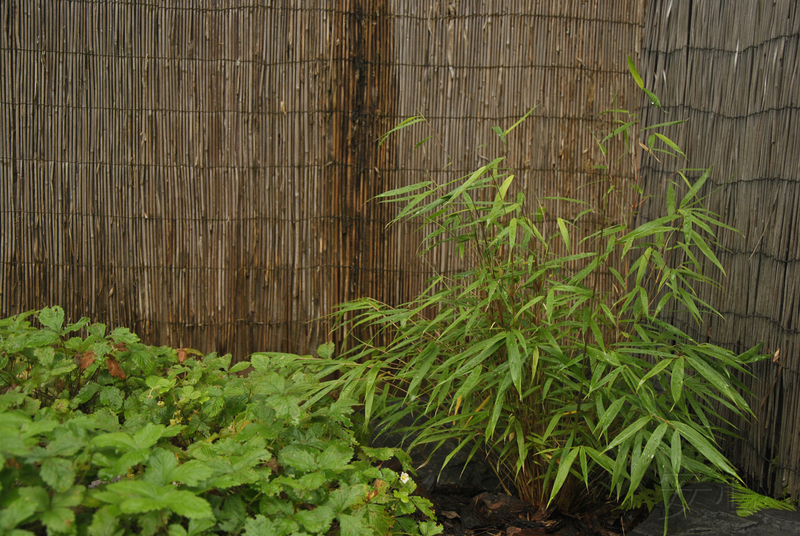 If you cut off its lower leaves, you will get bamboo thickets. Watch out! This plant is an aggressor. Use it only where its spread will not interfere to the other plants and where it is enough space. Buckthorn Fine Line also looks like bamboo. Its long thin leaves and narrow krone make the plant look similar to bamboo from a distance. Buckthorn Fine Line has high winter hardiness and grows rapidly. 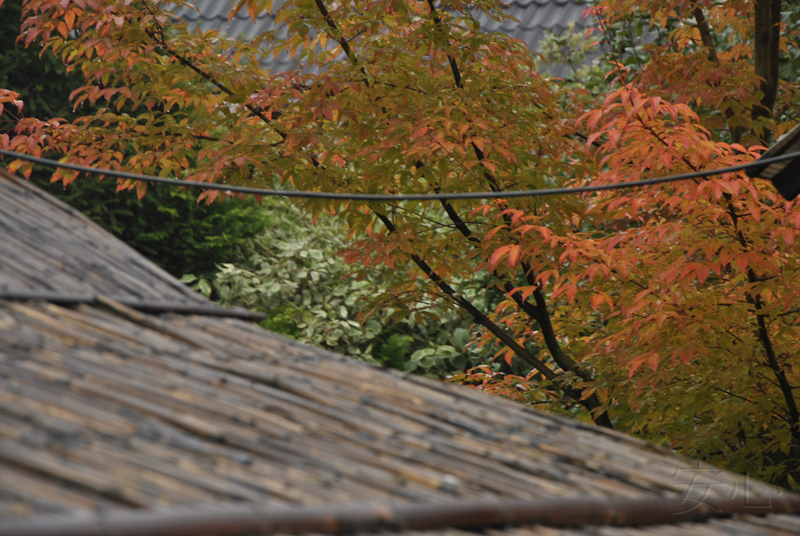 In autumn its leaves become beautiful yellow color. But you have to know that this plant of undergrowth. Therefore, in full sun buckthorn don't feel very well: its leaves become shorter and often dry up. It is better to plant it in a shady place, protected from the wind, and, ideally, where is a good humidity. The second group is shrubs and here, the choice is wider. Let’s start with rhododendrons and azaleas. We should be very careful when choosing the kind of a flower and the place for planting it. Some rhododendrons can’t survive Russian winters (especially it concerns evergreen sorts), whereas others are well-adapted in our gardens making us delighted with their flowering even after severe winters. 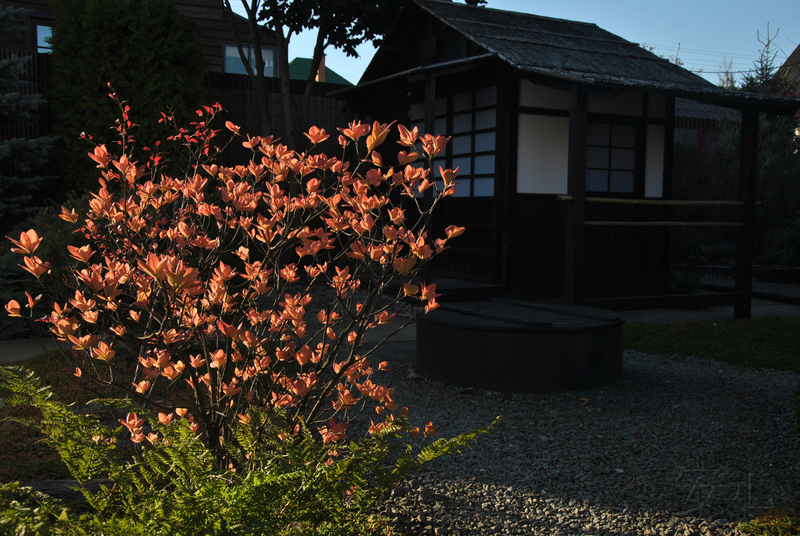 Deciduous sorts are more suitable for Japanese gardens, as their ‘poetic’ coarseness, more gentle leaves comparing with evergreen rhododendrons are entirely in the spirit of the Japanese garden. Besides they survive winters better and don’t need covering. Make sure you’ve chosen a good place for them. 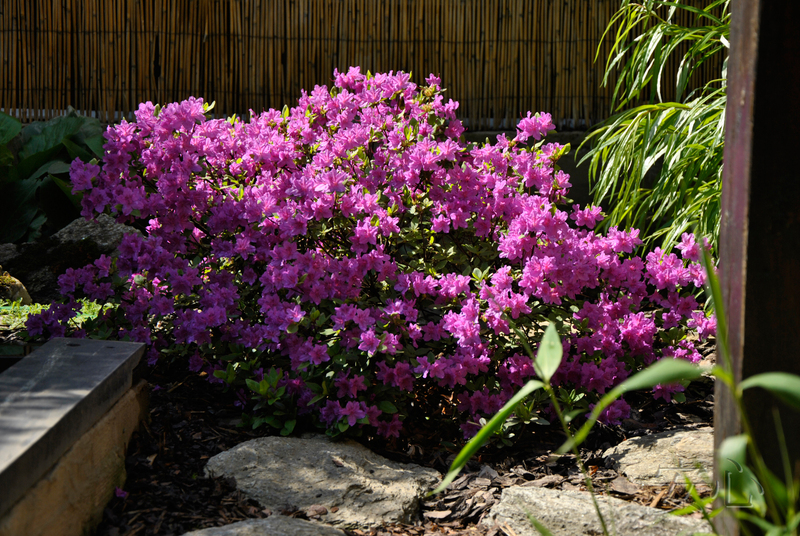 Rhododendrons like humid air but they can’t stand drying up the roots so plant them near a pond, mulch the soil with needles or pine bark and water during dry seasons. The process of planting rhododendrons is also of great importance. These flowers like light and sour soil. If clay dominates on the site, rhododendrons won’t grow there. Then, you should find a higher place and replace the soil with sour peat. Hilly areas covered with azaleas look very attractive in Japan. But these plants are more sensitive than rhododendrons and in our region they need covering for a winter period. 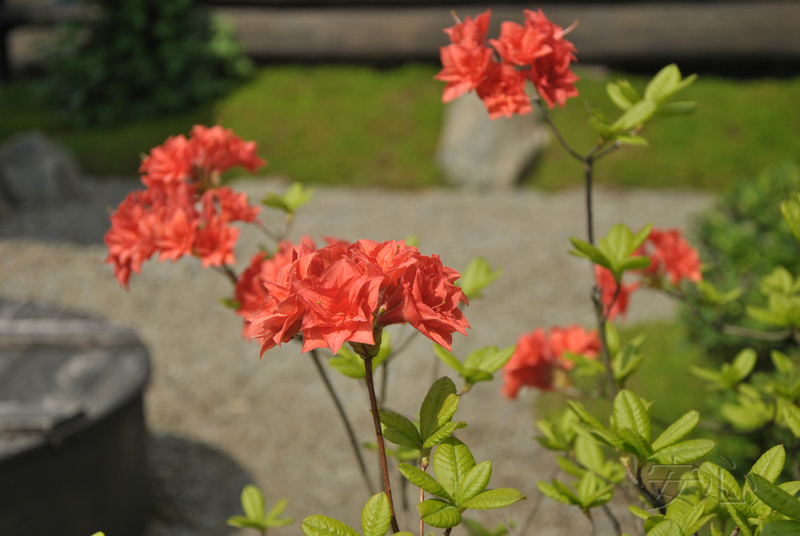 It’s not difficult to cover one or two azalea bushes, but covering ten can become a problem, besides we’ll have to see that covering material during six months. That’s why it’s not worth creating ‘cropped hills’ of azalea. The same can be said about boxwood even though in southern regions it will be quite to the point. Many people grow boxwood but there is always a risk of losing a plant. Spiraea and Berberis are the most suitable plants for making ‘cushions’, ‘waves’ and ‘hills’ if trimming them as hemispheres floating on each other. Moreover, you’ll be pleased with a long and bright blooming of the Spiraea. Also you can plant Stephanandra incisa Crispa. 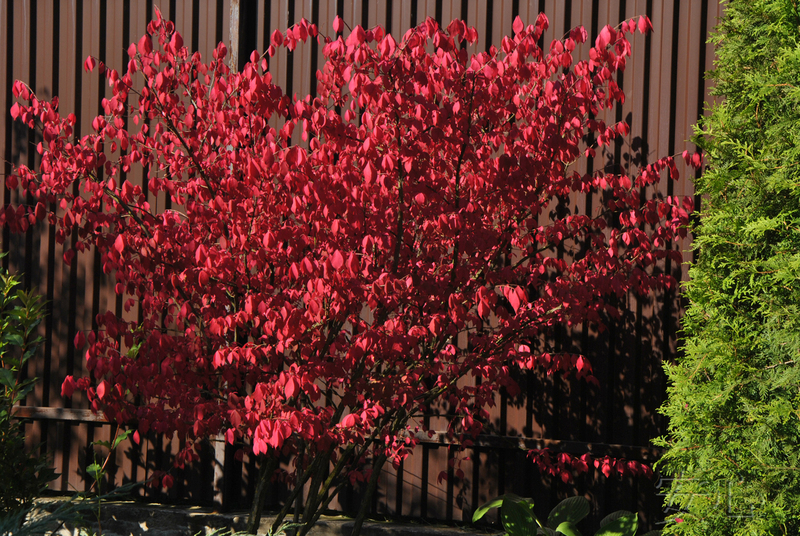 The shape and the autumn colour of Euonymus alatus are unbelievably beautiful. It can be used for creating ’niwaki’. But the Euonymus europaeus is also very beautiful. The next group of plants is perennials, which are not widely used in Japan although there are some exceptions. 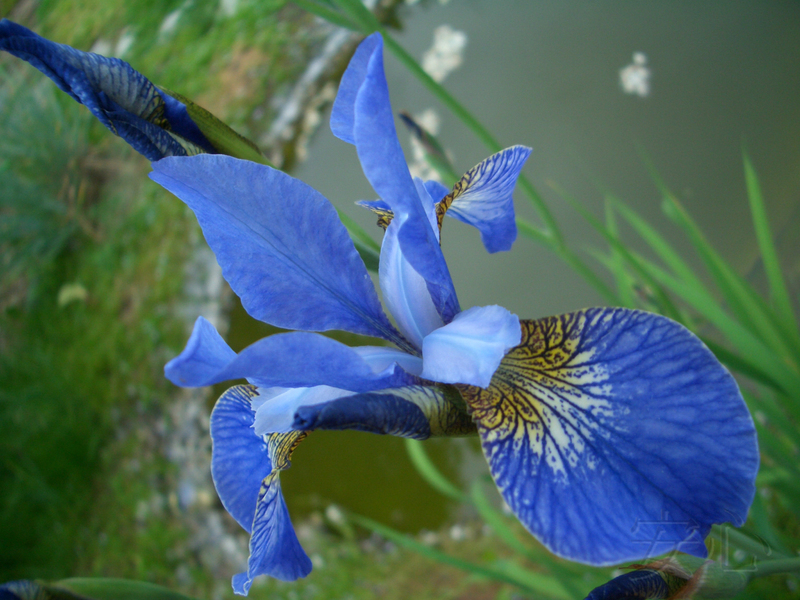 First of all, they are irises whose petals symbolize Samurai swords. 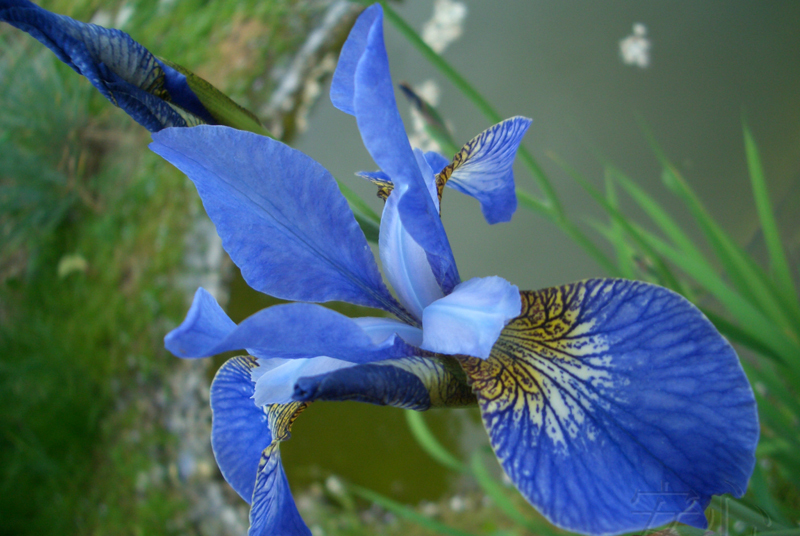 Irises look the best when planted in a large group, near ponds or zigzag bridges yatsuhasi. 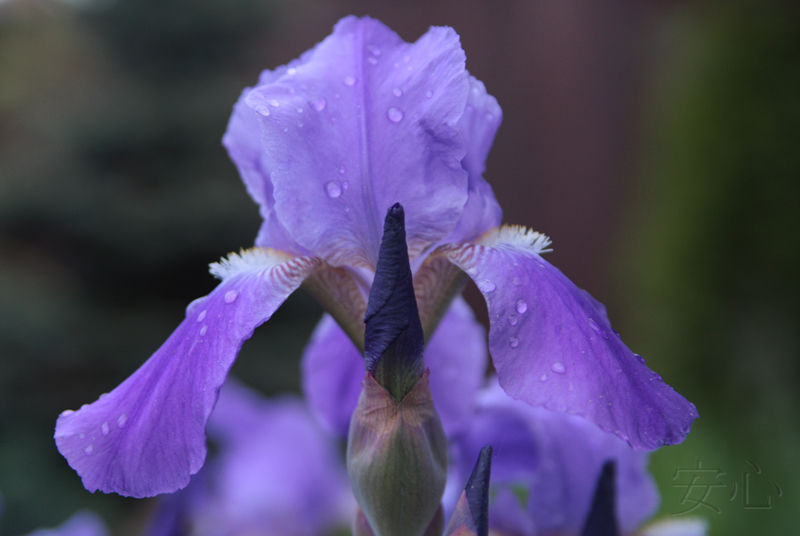 The Japanese grow irises japonica but we recommend replace them with irises sibirica which are more cold resistant. Sometimes you can use Iris barbata. Then Chrysanthemum comes. This flower decorates the garden in autumn like the rays of the sun. Chrysanthemum is a symbol of the sun and its picture can often be seen in Japanese prints. 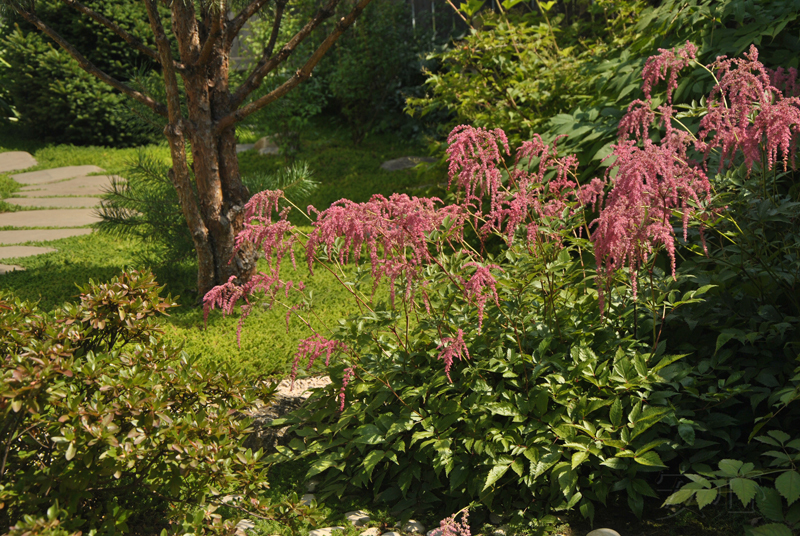 Besides irises and chrysanthemum, astible, aruncus and other shady plants will be suitable for Japanese gardens. 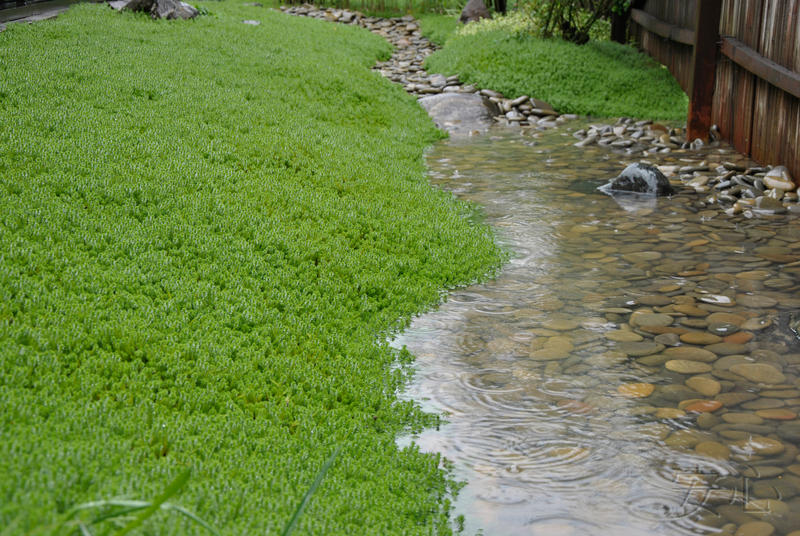 The best places for the groups of these plants are near ponds or in shady corners. Moss and fern belong to a special group. It’s hard to create the ideal conditions for them unless your garden is situated in the forest. But there is a wet shady corner comfortable for these plants in any garden. 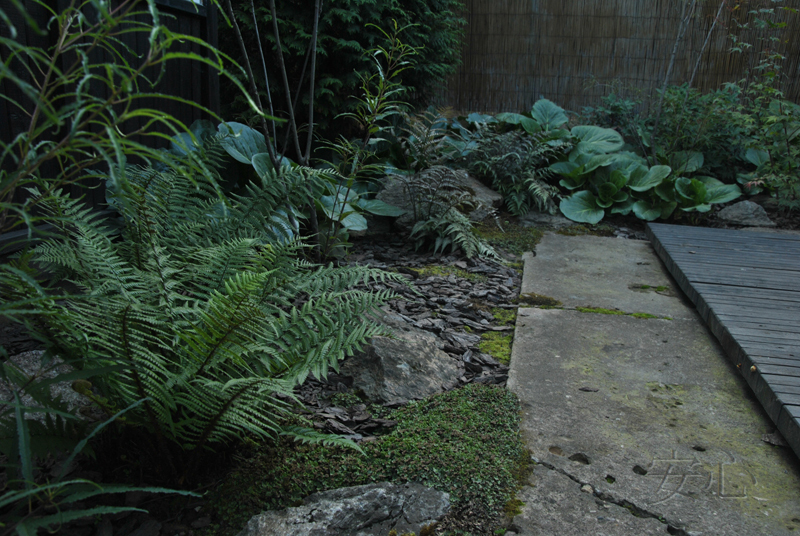 Moss and fern are undemanding in the selection of soil, but still prefers acid reaction. So if you want to make a rock look older covering it with moss, water it with sour milk. 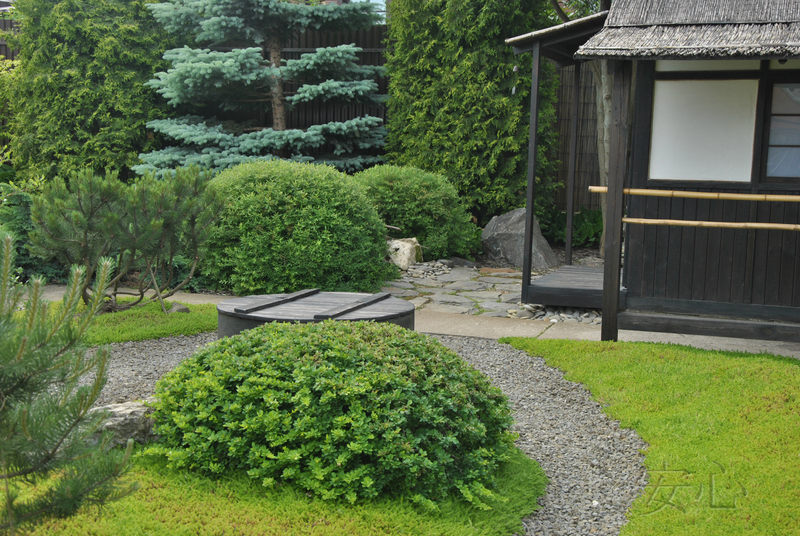 The moss can give the aged look to a particular part and the whole garden as well. It softens the contours of the tracks and rocks, brings the smell of a forest, you want to touch it as it looks like a velvet carpet. 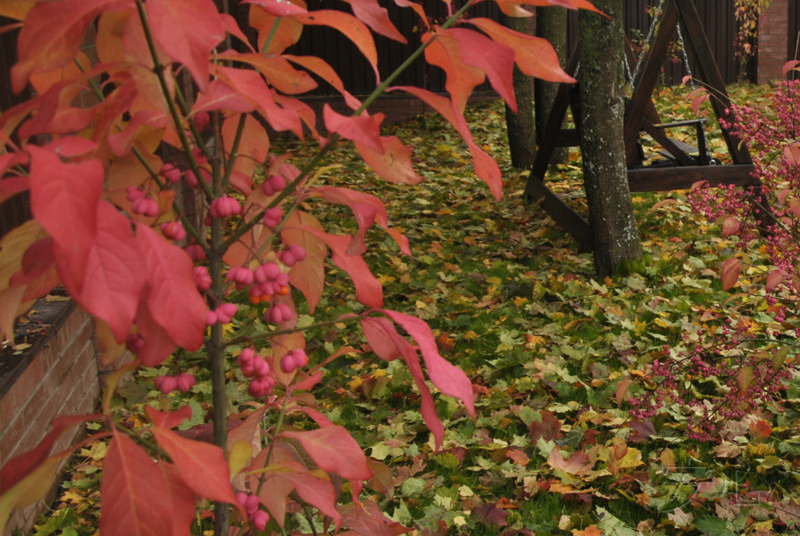 But the moss needs care: weeding, cleaning of fallen leaves in autumn is vital for it. The last but not the least important thing is watering. If it’s not a sunny place, you can water it only during dry periods, but you should water it every day if the place isn’t shady. If the weather is hot and dry, the moss turns brown and gets dry. However, in autumn it turns green again and remains so until winter. Sometimes you need a moss carpet on a sunny place. 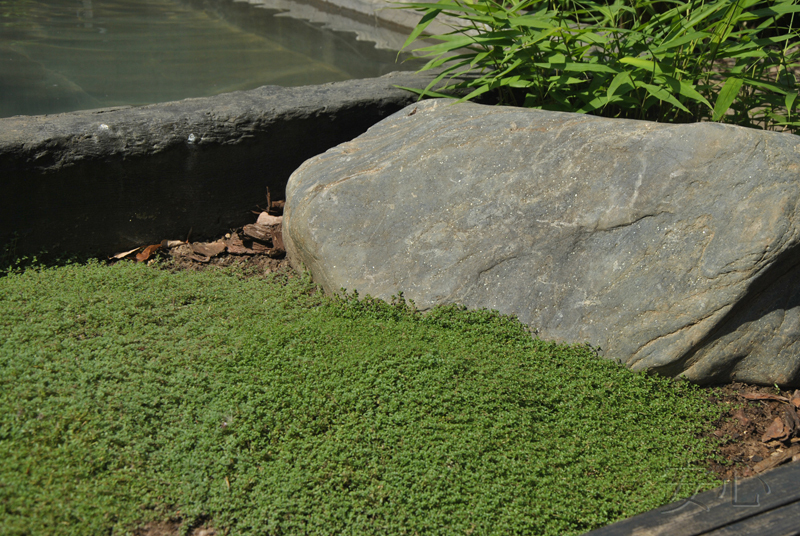 In this case we can offer various ground covering plants such as Sedum, Cotula, Saxifraga, Sagina and some others. Authors of the photo: Yuichi Azuma, Gleb Uspensky, Irina Andrianova.